Unique, personalised Holy Communion jewellery gifts for a special daughter, granddaughter, Goddaughter, niece, sister, friend. 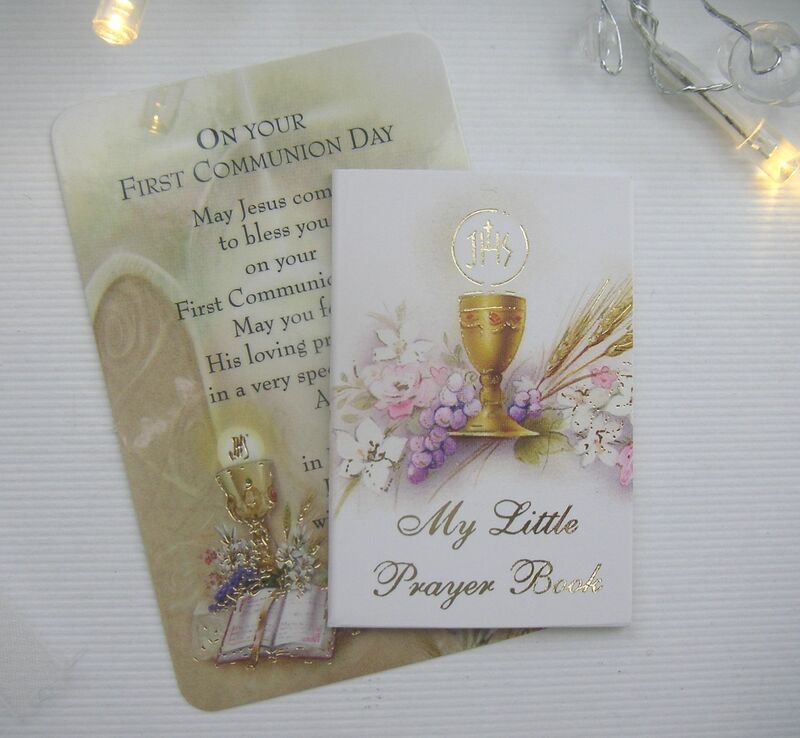 Gifts to celebrate her First Holy Communion day and to show her how much you love her. Our delicate sterling silver engraved heart tag, sterling silver guardian angel and delicate cross First Holy Communion gift necklace is the perfect jewellery gift to be worn and kept as a reminder of a very special First Holy Communion day. The charms can be worn together on the chain or seperately. 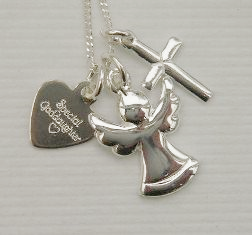 The sterling silver cross measures approx 1.5cm x 1cm , the silver engraved heart tag is approx 1cm x 1cm and the silver guardian angel is approx 1.5cm x 1cm. The silver curb chain is available in 14" / 16" / 18" length. 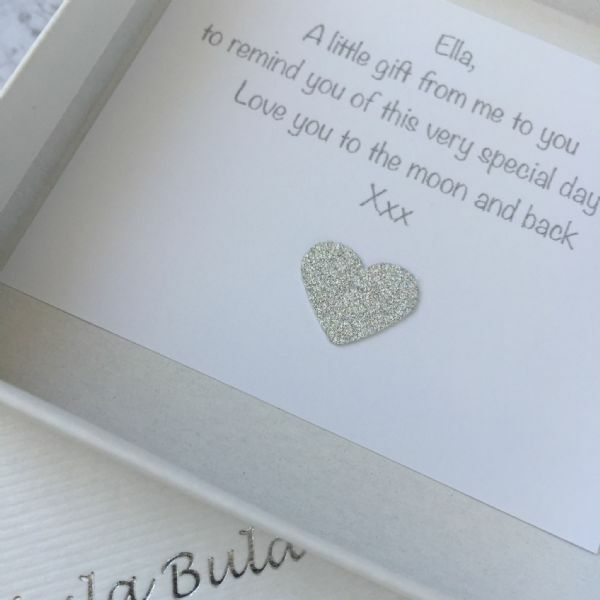 The heart tag is available with your choice of engraved message :'Special Daughter', 'Special Granddaughter', 'Special Goddaughter', 'Special Sister', 'Special Friend', 'Special Cousin', 'Special Niece'. 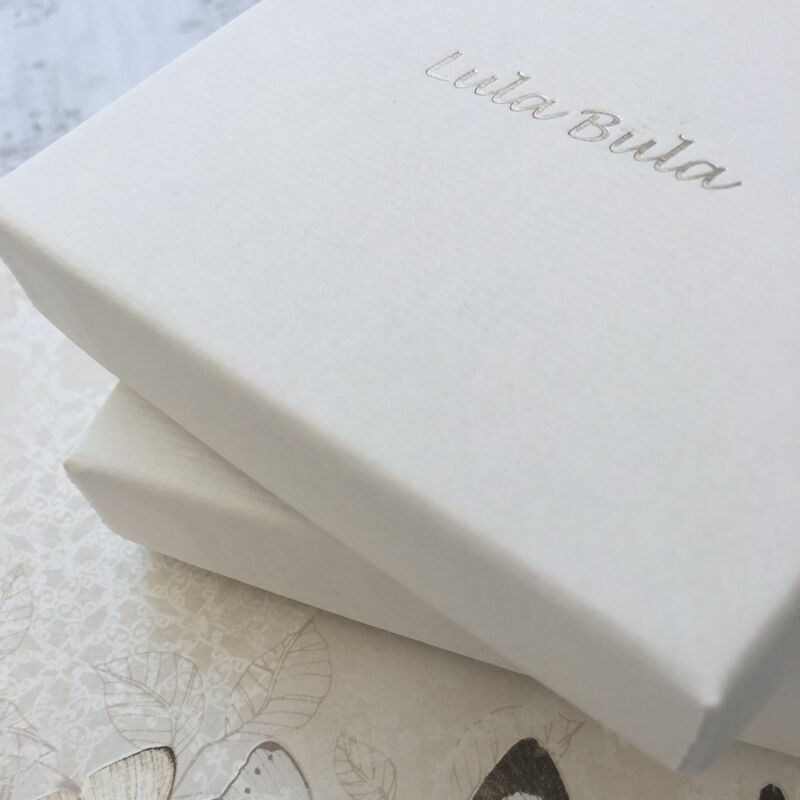 The tags can also be engraved with names / First Holy Communion date / message of your choice on the back of the tag at an additional charge of £7.50 (Maximum of 40 characters). Please check dispatch information below for personalised engraved jewellery, if you do need your order more urgently please do let us know.